The climate is changing, coral reefs are bleaching, and weather, in general, has become erratic and dramatic. We are feeling the very real consequences of our unsustainable global consumption every day. Hurricanes are hitting harder than ever, California is ablaze, and South Africa doesn’t have water. We cannot ignore the human impact on the environment, but we can do our part to help fix it. From the simplest of habits to changing out a light bulb can cut down on your energy usage significantly. Replacing your iridescent bulbs with compact fluorescent light bulbs will save approximately up to 90% energy (usually lost from heat) and for every light bulb you switch out, you’ll save the environment an extra 400 lbs. of greenhouse gas emissions. Unplugging any appliances you don’t use, or using an extension cord that has an on/off switch to make the process easier, is a simple way to save money and energy. Similarly ensuring that you actually turn off computers when you are finished using them and turning off your lights when you leave the room can all contribute towards a lower utility bill. During winter, you want the heat to remain in your home for as long as possible and taking steps to prevent the heat from escaping is the best way to do this. The best way to retain heat is, of course, to have proper insulation in your walls, floors, ceilings, and windows. If a renovation is out of the question, there are many easy solutions you can implement instead. Adding thick rugs over hardwood can help tie a room together and insulate your room, as can installing thick curtains which would block out the draft. Ceiling fans were most in use a few decades ago, but with new designs and increasing awareness of our environmental footprint, they’re coming back into style. That’s because fans can push the rising hot air back down, and in summer can be reversed so that they pull the hot away from you. Houseplants have the obvious benefit of improving the air quality of your home, but you can use nature for so much more. Thick, coniferous trees, for instance, can help block out cold winter winds, and large trees can block the sun from reaching your roof during the summer. Roofs are known to rot, become damaged, leak, and in many cases simply do not positively benefit your home. That is why you should consider switching to metal roofing. This durable material can not only withstand the elements; it can also help reflect sunlight. In the summer, this can help reduce your cooling costs by almost half. You are also likely to make money on your roof back if you were to sell your property, making metal roofs an obvious choice. You can discover more options at the click of a button and find that there’s a metal roofing style that will suit your property. The purpose of insulation is not to keep heat in, but to keep airflow from passing through your walls. If you desire cold air, an insulated home will better retain the cooler temperature, whereas if you had your heating on, a properly insulated home could help prevent it from escaping. You can get fiberglass, mineral wool, or even spray foam (polyurethane) depending on your budget and needs. Single pane windows let out a lot of heat, which is why upgrading them to double or even triple paned glass can help save costs of your energy bills over the years. In some cases, simply fixing your window is more appropriate, where the frame is what is damaged, rather than the window itself. Before you make a big purchase it’s always advisable to work out the cost analysis – if the price isn’t worth it then purchasing some thick curtains can help instead. 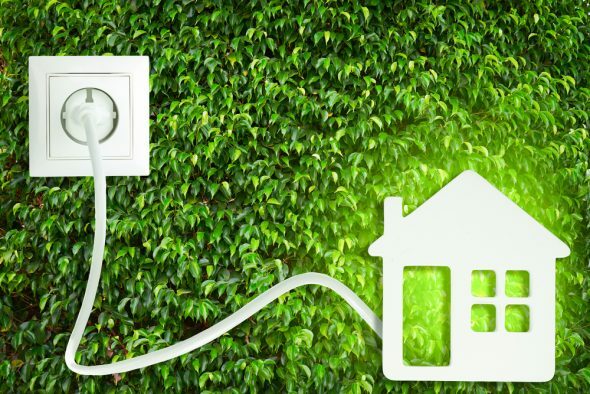 Smart home systems automate the habits you should adopt for a more energy efficient home. It is possible to set timers, so that your curtains open when the sun is out, and close when the sun sets. They can also turn off your heating for you when you leave for work, and automatically turn it back on before you get home, and so on. If you have old appliances in your home switch them out. Not only are they likely not assisting in ensuring energy sustainability (in the case of fridges, freezers, or even washing machines) they also could be using up far too much electricity. There are many ways to be more environmentally friendly. You can cut your shower time; you can grow your own vegetables; you could bike to work, and so on. Reducing your carbon footprint will be a unique and personal journey, but if you decide to partake in this journey, you’ll find that not only can you save a lot of money, you can improve your home in key ways that make it a much more pleasant, enjoyable space to spend your time.